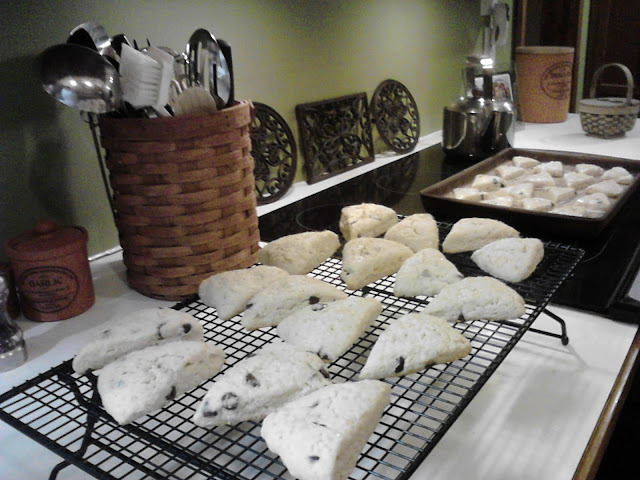 My son and I were in the kitchen at 5:30 this morning making scones for his geography class at school. We used a recipe that is so easy and so good I wanted to share it with you. Knead dough against side of bowl 5-10 times to form a ball. Pat into an 8" circle, slice into 8 or 12 wedges and place on an ungreased cookie sheet. Brush with extra cream, if desired, and bake for 12-15 minutes. That is it...Couldn't be any easier and they are yum! Today we threw some chocolate chips in before forming the dough into a ball. My favorite addition is a little ground cinnamon and some slivered almonds. 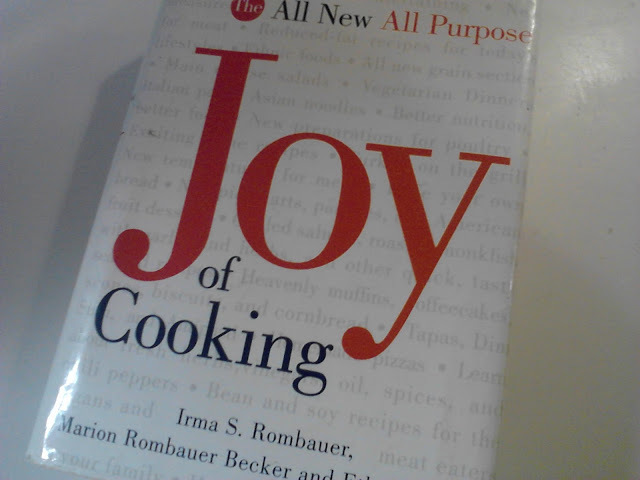 I have two different editions of this classic and they are an invaluable resources for me. They are the first place I look when I need a classic recipe or ﻿want to learn more about a certain ingredient or technique. So... I hope you'll try and enjoy this recipe. Wouldn't warm scones be nice Christmas gifts for your friends and neighbors?